Periyakulam is an important town in Theni District, situated 16 kms from Theni and located in the foothills of Kodaikkanal. 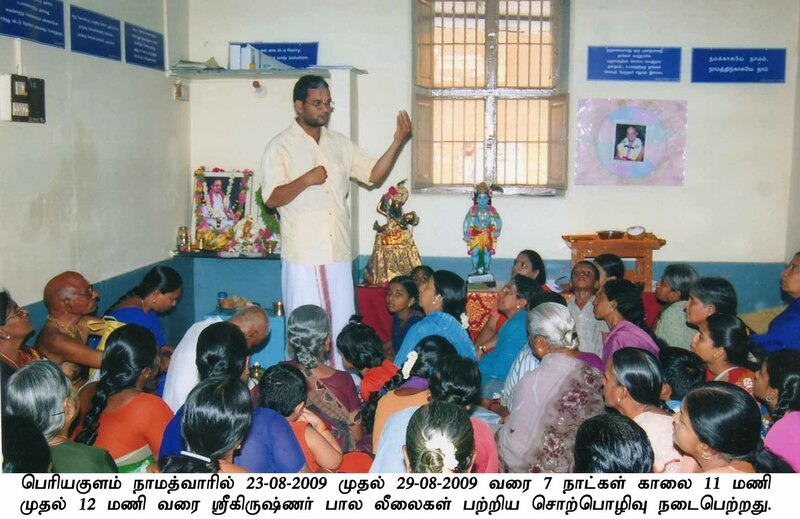 The shrine of Namadwaar was officialy opened on 06th February, 2008 by our GOD satsang Sri M.K.Ramanujamji. The newly constructed namadwaar was opened by Sri Swamiji on 08-Nov-2017. The Namadwaar is easily accessible located near Sri Varadharajar Temple and close to the shopping bazaar and around 2.5 kms from the Periyakulam Bus Terminus. Nagara Kirtan is performed on important days covering the proximity of Namadwaar. The Namadwaar is open for the public between 6.00 am to 8.00 pm on all days. 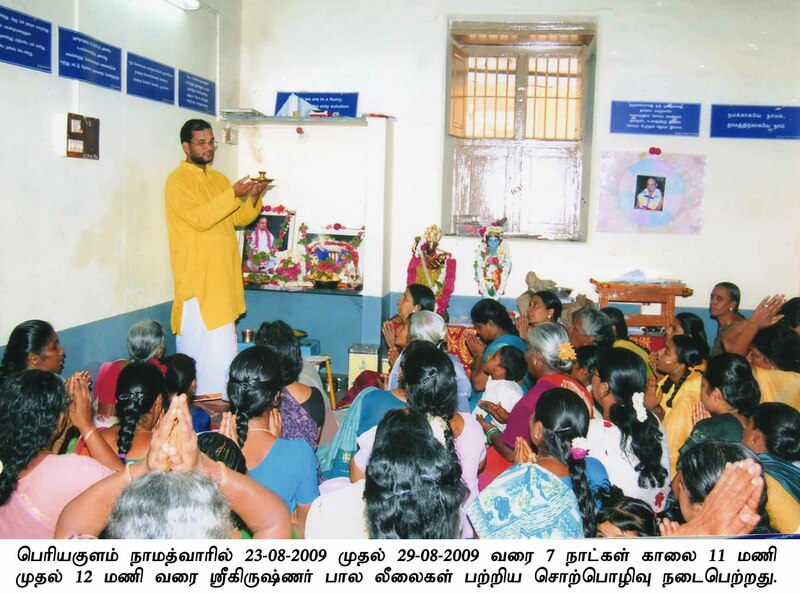 Namadwaar also celebrates many special events with extended hours and those timings are mentioned in the notice board. Periyakulam is connected with all major towns from Theni district and Madurai by road. It is around 60 kms from Dindigul and 70 kms from Madurai by road. Omni & State Government Transport Bus ply from Madurai, Chennai and major towns. 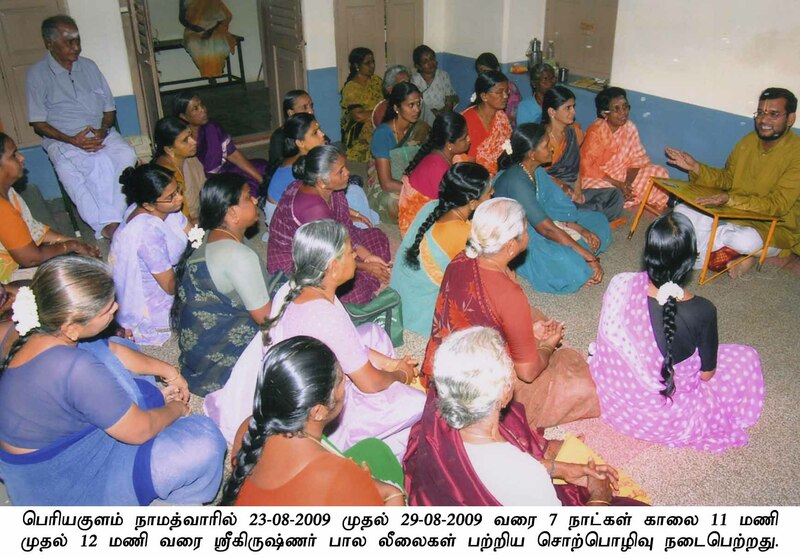 Nearest Airport is Madurai (90 kms). 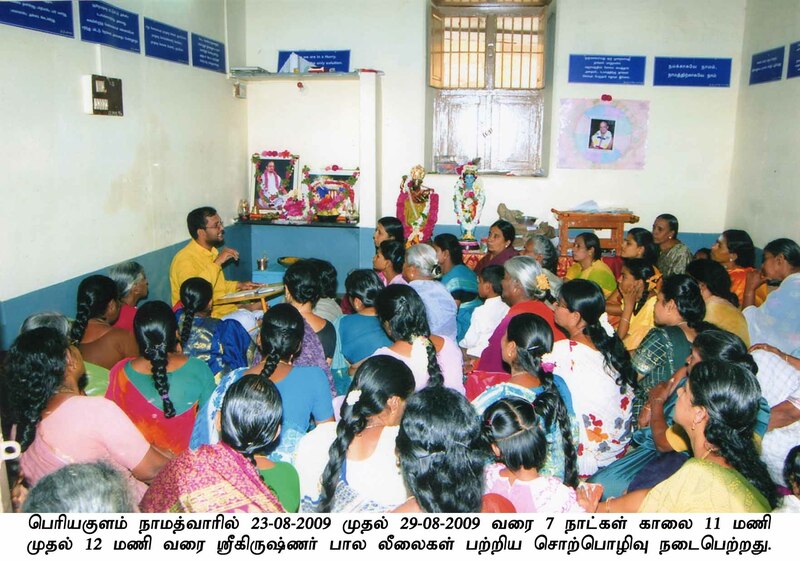 Nearest Railway station Theni – 16 kms / Kodai Road – 40 kms / Dindigul – 60 kms / Madurai – 70 kms. Periyakulam is connected with all major towns from Theni district and Madurai by road. 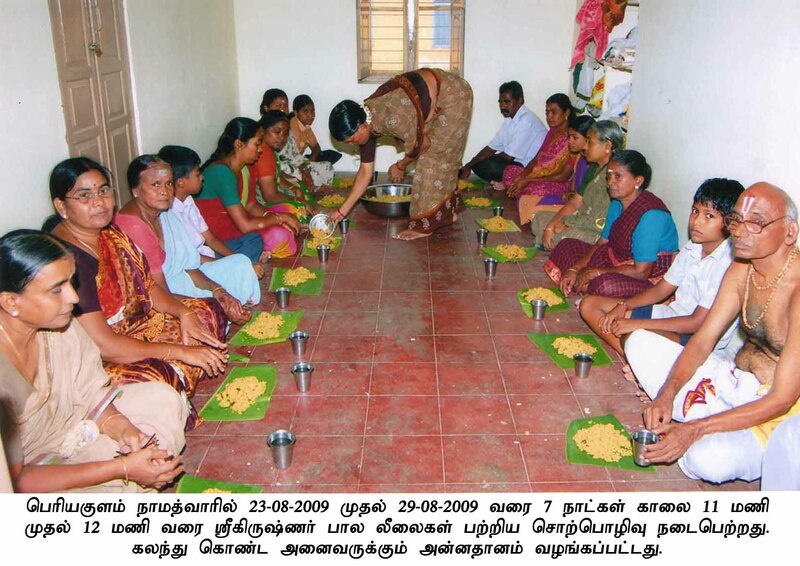 It is around 60 kms from Dindigul and 70 kms from Madurai by road. 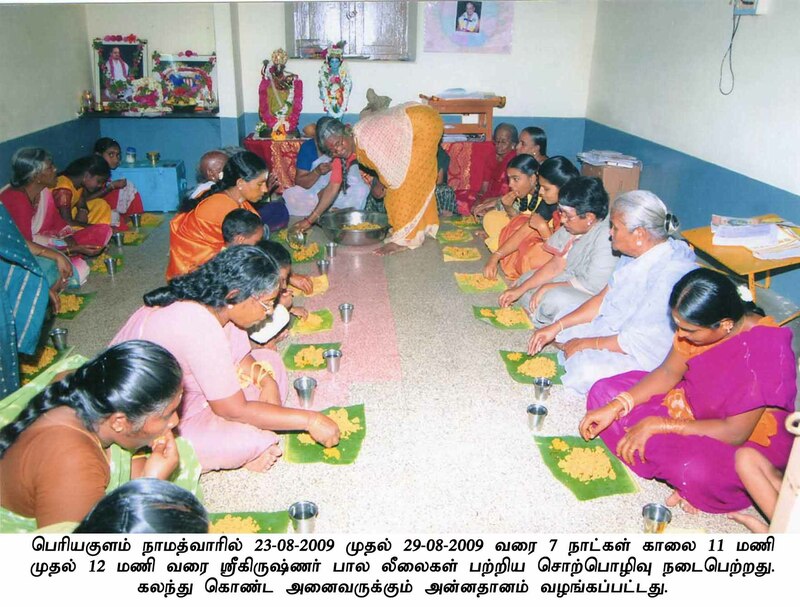 ‘Annadhaanam’ (feeding the masses) happens on “Ammavasya” day of each month and on special occasions. 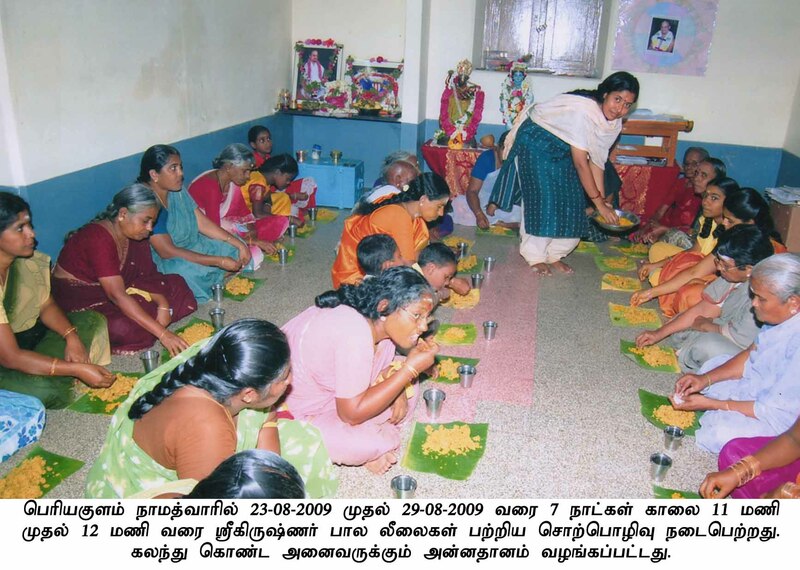 Once in a month, Akhandanama is being conducted at the Namadwaar or at a place proximate to it, between 6.00 am in the morning to 6.00 pm in the evening.